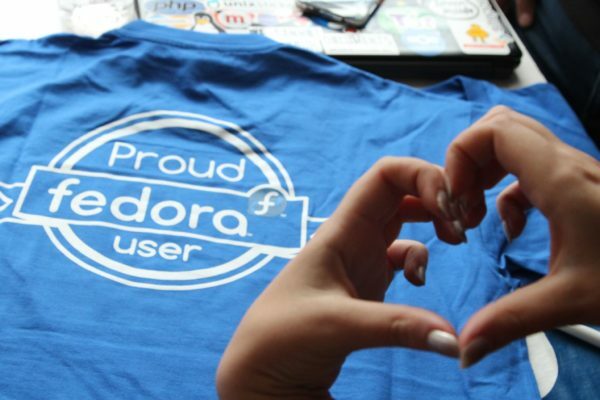 At Fedora booth volunteers will be helping people with Fedora installation, distribute Fedora media disks and swag. Also they’ll have a quick look at the features of the upcoming Fedora 22. They’ll promote the contribution towards the Fedora project and the core values of the Fedora community: Freedom, Friends, Features, and First. They’d love to see you if you have any questions about Fedora, if you’re a Fedora developer, contributor or if you’re just interested in FLOSS in general and would like to know more. About: Fedora is an operating system based on the Linux kernel, developed by the community-supported Fedora Project and sponsored by Red Hat. Fedora contains software distributed under a free and open source license and aims to be on the leading edge of such technologies.